If you're asking yourself: what does he mean, "double dipping"? What I mean is that I already own a copy of Sega 3D Fukkoku Archives 2 (and the first Sega 3D Fukkoku Archives title, too, it has to be said), and despite that fact, I'm still considering buying the localized version of the sequel when it's released here on April 26. Speaking of which, when Sega 3D Fukkoku Archives 2 hits North American store shelves (as well as this region's 3DS eShop) this spring, it'll do so with a slightly different name. That name: Sega 3D Classics Collection. As was the case with Sega 3D Fukkoku Archives 2, Sega 3D Classics Collection will contain a slew of well-loved games from Sega's extensive back catalog. Among them: Altered Beast, Fantasy Zone II (Master System iteration), Fantasy Zone II W, Galaxy Force II, Maze Walker (another old Master System title), Power Drift, Puyo Puyo 2, Sonic the Hedgehog and Thunder Blade. Oh, and all of this retro wonderfulness can be yours for a measly $29.99. So why am I just "thinking" about buying the Sega 3D Classics Collection at the moment--you know, as opposed to feeling certain I'll buy it? Well, like I revealed in this post's opening lines, I already own a copy of its Japanese counterpart. On top of that, I've yet to even stick that game's cartridge into my import 3DS LL. Because of that, I'll continue to ponder the situation until I'm forced to make a decision one way or the other. In the meantime, how did all of you react to the revelation that at least one of the Sega 3D Fukkoku Archives titles will soon be made available to owners of North American 3DS systems? 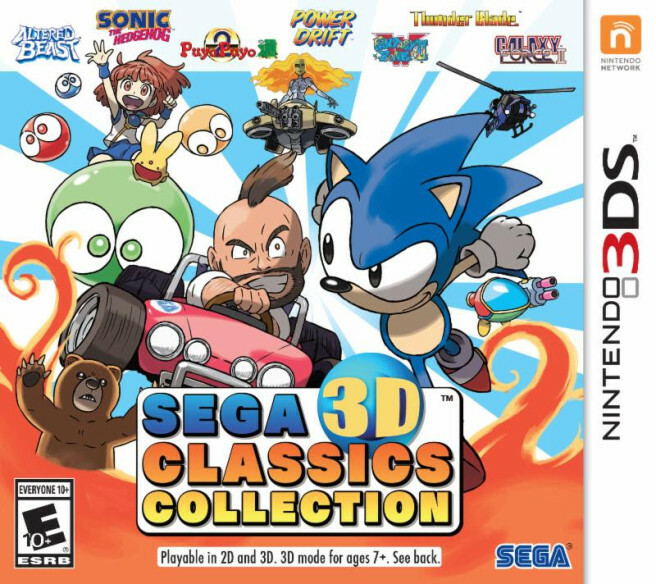 Are you going to add Sega 3D Classics Collection to your, er, collection at some point down the road, or are you planning to give it a pass?